Contains one of the best – preserved of the Pillars of Ashoka, topped by a single Asiatic lion. Renowned as the land of Amrapali, the great Indian courtesan, who appears in many folktales, as well as in Buddhist literature. Abhishek Pushkarini, (coronation tank) sacred waters of the anointed the elected representatives of Vaishali. Located in Nalanda district of Bihar. 1st capital of Magadha Kingdom. Mangla Gauri is marked by two round stones that symbolizes the breasts of the mythological sati, wife of lord Shiva. Vishnupad temple is marked by a footprint of lord Shiva incised into a block of basalt. 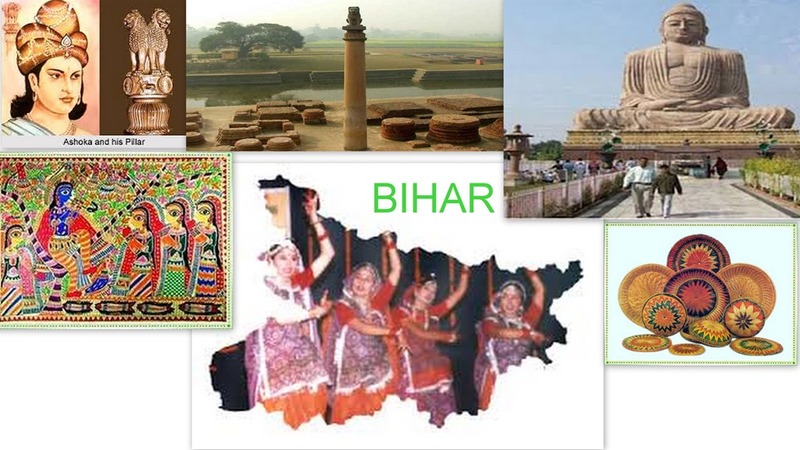 II largest city of eastern India. In 1620, East India Company established a factory in Patna for trading in Calico and silk. Champaran means- Forest of Magnolia (Champa) Trees. – Mahatama Gandhi was invited by Raj Kumar Shukla. -M.K Gandhi was also one of its members. “Land of Leechi” was created in 1875 by splitting up the earlier district of Tirhut. Named after Muzaffar Khan, an Amil(Revenue Officer) under British rule. Site of the famous bomb case of 1908. Young Indian Revolutionary (Bengal), Khudi Ram Bose was hang for throwing bomb at the carriage of Pringle Kennedy, who was mistaken for Kingsford, the district judge of Muzaffarpur. District was carved out of Muzaffarpur district on 11th December, 1972. Birth place of Sita, wife of lord Rama(Mythological). A rock-cut sanctuary of the Mauryan period also exists here.